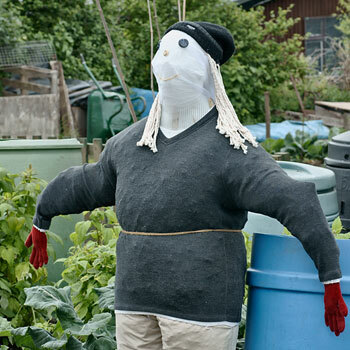 Hi, so you would like a plot at Burley Model Allotments? Well at the moment you could not choose a better time; as our waiting list for plots is less than it has been for years. So now really is the time to apply for an allotment and to get a plot of your own. Come and join us and get your own small piece of heaven. 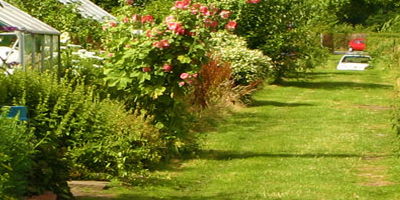 Please contact our Lettings Officer for full details regarding joining Burley Model Allotments Association. You can use the online Application Form to do this. Contact us by letter using our postal address below. We usually pick up our post only once or twice a week, so for urgent messages we advise you to use the contact form on the contact us page or send an email directly to the Officer concerned with your enquiry. As you are no doubt well aware gardening provides so much pleasure and satisfaction and this is doubly so when gardening on an allotment. The social aspect alone is such an attraction, you will meet like-minded folk who will bend over backwards to offer help and advice. Apart from the exercise (and the aforementioned bending over backwards) which will help keep you fit, to be involved with nature and watch the seeds that you sow, grow into healthy mature plants can give so much fulfilment. Then there is the added bonus that you can eat the freshly picked fruit and vegetables, the taste of which you can NOT buy anywhere (no matter what any supermarket advertising may tell you) this alone is fulfilling, and if eating what you have grown does not fill you, then no amount fulfilling will do. If you choose to join us then you can enjoy the benefits of working with the land, revel in the advantages of fresh produce, delight in the healthy exercise and appreciate the recreation, leisure and happiness that an allotment can give you. If all this sounds like you, then get in touch with us. Please contact our Lettings Officer for full details regarding joining Burley Model Allotments Association. You can use the online Application Form to do this. As we all know working a plot is a lot of effort and if you are you really ready for all the hard work and it has to be said the heartache that this will involve, (there I’ve said it) then this really could be the place for you. It is however, not all a bed of roses. As with the good times there are always a few unpleasant ones. Such as when the mice eat everything you have sown and slugs eat all you have planted; then there is the wind and the rain and the Pigeons…. Oh the Pigeons!!! You can use the Contact Us page to get in touch with us with any general enquiries, or use the form on the Join Us page to apply for a plot with us. So why do we do it, more to the point why on earth would you want to do it? Well, it is great fun playing in the earth, there is nothing more satisfying than to plant something from a small seed, to watch it grow, to care for it, to nurture it and then to eat it!! If you really feel that this is for you; then God, (or some other deity), help you, you will probably need it…..
You can use the Contact Us page to get in touch with us, use the Application Form to Apply for a plot or the Contact Form for any general enquiries. What Size Plot do you Need? The size of the plots we have can vary from small beds for beginners to large plots suitable for feeding a family. Our aim is to make space for as many members of the Burley Model Allotments family as possible. Ours is a small but friendly community and we hope you will join us here. However if you think our site is not for you or you want more information on getting an allotment in Leeds then check out the Leeds City Council allotment page on their website. The link below should take you direct to the Council Allotment page. If you are having trouble with the link above this link will take you to the Leeds City Council home page LCC Website page. From there go to: Leisure> Parks and Countryside > Apply for an allotment. We currently have both Full and Associate Membership available, we utilise Associate Membership when there is a wait for plots or for people who just want a taste of “allotmenteering”. Associate Members of the Association work with an existing plot holder and help tend their plot. This can be a great help to both parties as we occasionally have plot holders who would like a hand working their plots and as such Associate Members of the Association are encouraged as it gives an idea of how much work is involved. Contact the Lettings Officer using the Contact Us page. Please contact the Lettings Officer for full details regarding both Full and Associate Membership of the Burley Model Allotments Association. "The secret to success is to know who to blame for your failures." "Failure is not falling down; it is not getting up again."